Some people are under the impression that traveling with children is a terrible idea. They instantly envision screaming toddlers on planes and vacations spent with sticky hands and early nights. However, if you’re a parent, don’t let those negative people fool you into keeping your children in one place. When children are growing up, they often live under the impression that their home is the only kind of home available. This can lead to a false sense of reality and an inability to connect with people who come from different backgrounds. To encourage them to learn more about the world around them, not just their backyard, book a flight to a new destination every now and then. Your children will learn about different cultures, environments, and lifestyles across the globe, which will then translate into a valuable sense of worldliness later on. When traveling, things will go awry. It’s inevitable. However, learning to cope with those setbacks is a huge part of growing up. Children who travel are better-equipped to deal with last-minute plan alterations, lost luggage, traffic jams, canceled activities, and so much more. Their ability to handle various kinds of situations while remaining positive could boost their overall health and happiness for years to come. Depending on where you live, your children might not realize how much nature directly influences culture, architecture, and human society. By taking them everywhere from a cabin in the Rocky Mountains to a family time resort near the ocean, you’ll give your kids the opportunity to understand how cultures thrive in completely different kinds of environments. Added bonus: the fresh air is incredible for their health. It’s a well-known fact that it’s much easier for children to pick up a second language than it is for adults to learn one. Their brains are still forming and are ripe for the experience, which means traveling to foreign countries is an excellent idea. Teach them phrases from various cultures and watch as they slowly add to their language skills. Surprisingly, you can learn a great deal about your own country by leaving it. Children who travel are able to compare their home with those of others. They also get a glimpse of their country through the eyes of foreigners, which can drastically alter their initial impressions of the place in which they live. Pretty much all of the big travel bloggers agree on one thing: travel gives you the confidence to handle awkward or worrisome situations. Adventuring to new places requires people to step out of their comfort zone, and kids are especially impacted by the challenge of learning about unfamiliar locations. If you want to fuel your kid’s confidence and give them the strength to embrace difficult situations, forget signing them up for the debate team. Take them to strikingly new travel destinations instead. If you travel with your children quite frequently, they’ll soon learn that not every culture survives on a diet of mac and cheese with chicken nuggets. By trying foods from around the country and even the world, your children can broaden their dining horizons and even develop a taste for various kinds of cultural dishes. According to a study conducted in 2016, as many as fifty percent of American teenagers feel addicted to their phones. This addiction to technology can be unhealthy, and many believe it contributes to feelings of depression and inadequacy. The benefit of traveling is that your child can’t always rely on their cell phone for entertainment. Sometimes you won’t have service in a new country or out in nature. Plus, they’ll learn to appreciate other forms of stimulation that aren’t based inside their handheld devices. The reigns of kings, queens, and empires of long-ago are hardly interesting when presented in a dull school textbook. Fortunately, travel can bring the history of any country to life in a visible, powerful way. Take your kids to castles and ancient ruins, then educate them on the past that surrounds the area. Your children will have a whole new appreciation for the generations and cultures that came before them. 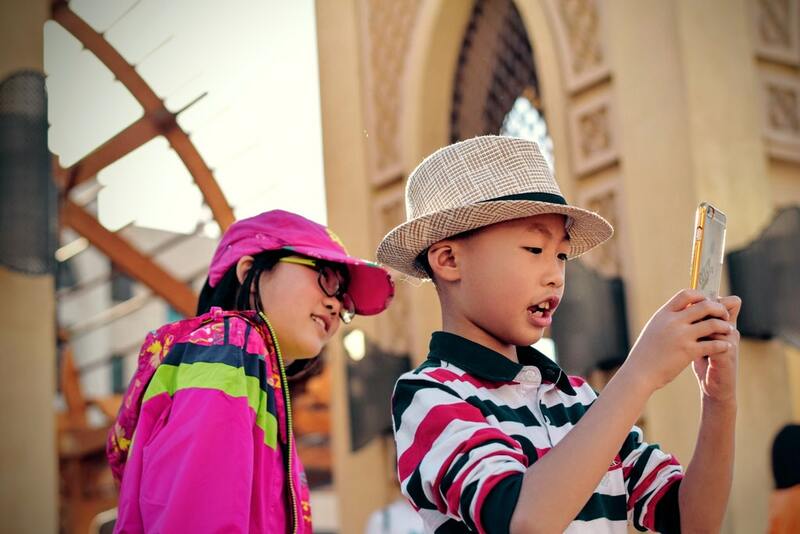 No child is going to develop a sudden fascination with global economics by traveling, but kids can certainly learn a lot about budgeting by watching their parents save for exciting trips. Keep your kids in the loop when you talk about spending so that they understand how expensive life can be and how to prioritize important things (like new experiences) when it comes to spending money. Although traveling with children, especially babies and toddlers, can be extremely challenging at times, the benefits are well-worth the effort. Don’t deprive your kid of worldly experiences and memories that will last them a lifetime. By taking them traveling, you’ll equip them with the skills that will make them happy, successful, and understanding adults later on in life.